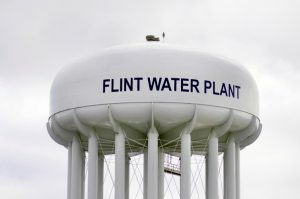 An official in Michigan who manages homes that have been tax foreclosed has tendered his resignation following the surfacing of an audio recording in which he is heard blaming the water problems in the city on African Americans. Phil Stair, a Genesee County Land Bank sales manager, was caught on tape using a derogatory term by Chelsea Lyons, a local water activist. Lyons posted the audio recording on the Truth Against the Machine website. “Flint has the same problems as Detroit, f–ing n—ers don’t pay their bills, believe me, I deal with them. They just don’t pay their bills,” Stair says in the audio recording. The audio recordings were made in a span of two days having begun when Lyons and a companion met the Michigan official at a local haunt. While confirming Stair’s resignation, Genesee County Land Bank executive director, Michele Wildman, said that the comments were troubling, inexcusable and offensive. She added that Stair’s remarks were not reflective of the organization’s values. Wildman also revealed that Genesee County Land Bank was rolling out an initiative aimed at restoring and regaining the trust of the public. Flint, whose population is more than 56% African American grabbed the headlines for being at the center of the biggest water crisis in the United States. As a result of the water crisis, there has been a huge increase in lead poisoning particularly among children. The water in Flint got contaminated following the city’s decision to tap Flint River as the source in a money-saving move. However, the water went untreated and this resulted in toxicity and corrosion spreading to users of the water. Besides the contaminated water, one other worry for the residents is that Land Bank has the responsibility to sell, rehabilitate and demolish the tax-foreclosed homes. Land Bank is currently the biggest property owner in Flint. In an interview with MLive.com, Lyons disclosed that all the properties in Flint were being taken up by Land Bank and as a result residents were being pushed out of the neighborhood. At the moment homes belonging to thousands of residents in Flint are in danger of being foreclosed because of unpaid water bills. This is water that most of the residents are unable to fully use. Earlier in the year a settlement was approved where the state will pay to have water lines leading to more than 18,000 homes teared out and replaced in the next three years.